Maybe you’re just starting to think about divorce. Or, maybe you’re in the middle of your divorce, but you’ve been so busy that you missed some blog posts that could help you a ton! Or maybe you’re a divorce professional just scoping for good stuff. No matter who you are, if you’re looking for my best divorce blog posts of 2017, you’re in the right place! I’ve combed through the archives and rounded up the 10 best divorce blog posts of 2017, and put them all right here, at your fingertips. 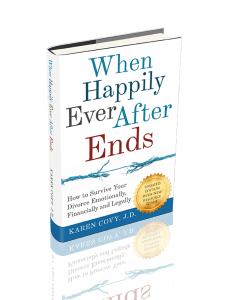 I also threw in an extra bonus article from last year that will clue you in with some of the best divorce advice I’ve got. Feel free to browse through whatever you need. If you can’t find what you’re looking for, you can use Search the Divorce Blog Categories in the box above the title of this article for even more divorce articles! Of course, if you really don’t want to miss a thing, you can sign up to get my latest divorce blog articles delivered every week, right to your inbox! Just CLICK THE BUTTON below! I WANT TO SUBSCRIBE TO KAREN’S BLOG! Divorcing a narcissist is never easy. The normal rules don’t apply to them. (Or, at least that’s what they think!) Narcissists will consistently do what’s best for them, no matter who they hurt in the process – even if it’s their kids. 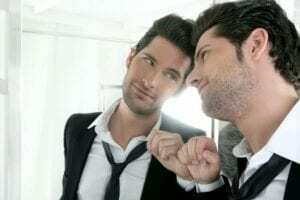 If you’re divorcing a narcissist, you’re probably in for a rough ride! Here’s what you need if you want to divorce a narcissist and survive. When it comes to divorce, no one really wins (except the divorce lawyers, if you fight!). Unfortunately, narcissists are all about winning. They see their divorce as a game, and they’re determined to come out ahead. If you’ve been married to a narcissist, you already know how crazy-making they can be! Here are 7 simple steps that can help you “win” when divorcing a narcissist. Settling your divorce amicably and without lawyers is ideal. 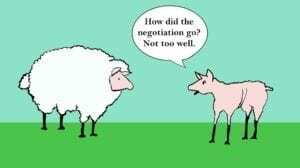 Unfortunately, negotiating with your spouse is not. If the thought of dealing with your spouse has got you in a twist, these 10 tips for how to negotiate a divorce settlement will help. Divorce hearings can be confusing. They’re run by rules that only lawyers understand. You’re often not sure what you should do or what to expect. Here are 20 tips to help you get through your divorce hearing with confidence. Getting an amicable divorce is not just a pipe dream. While divorce is never easy, if you do the right things, you can create a peaceful divorce for you and your kids. These 30 tips will show you how. You’re getting a divorce and you and your divorce lawyer no longer see eye-to-eye. You’re thinking you should change attorneys during your divorce. But, you’re not sure if that’s a good idea. How do you figure out if you should divorce your divorce attorney? One of the hardest parts of divorce is dealing with the heartbreak it causes. The science of heartbreak shows that our bodies are physically affected when our relationships fail. Here are 29 tips to help you deal with heartbreak (and divorce)! Your friend is going through a divorce. You want to help. You want to do the right thing. You’re just not entirely sure what that is! So, how do you support a friend going through a divorce? Getting a divorce over 50 has its own set of issues. While you may not have young kids to worry about, unless you are careful, you may never recover from the financial hit your divorce brings. Here are 7 important pieces of gray divorce advice you shouldn’t ignore. 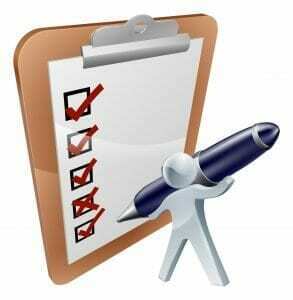 Most people rely on their divorce lawyer to give them divorce advice. But, divorce lawyers don’t always tell everyone everything. If you’re wondering what divorce advice you need to know, check out this list of the best divorce advice your lawyer may (or may not) have told you! Just because your divorce is final doesn’t mean that you’re done. (Sorry!) The truth is that, taking the right steps AFTER your divorce is just as important as taking them during your divorce. This post-divorce checklist can help you make sure you really put your divorce behind you. These may be the best divorce blog posts of 2017, but they’re still just a small part of the divorce articles on this site. If you want to make sure you get all of my divorce blog posts right after they’re written, subscribe to my divorce blog. I’ll send my latest divorce article right to your inbox every week!